Consistent message of #shoptalk18 today. Future is #digital + physical store, not one or the other. The store is alive and well, just evolving to do and be more for shoppers! See? We told you. Change is most definitely on the horizon for retailers, but not always in the way people expect. People have been saying for years that thanks to the explosive adoption of ecommerce, that brick-and-mortar retail is on its way out. As Laura Heller, Diana Sheehan, and Brent Niemuth indicate, physical stores aren’t going anywhere; they just also won’t look like they did 10 years ago. The importance of hybridizing the shopping experience cannot be overstated. That knowledge prompts us to unpack this concept a bit more. 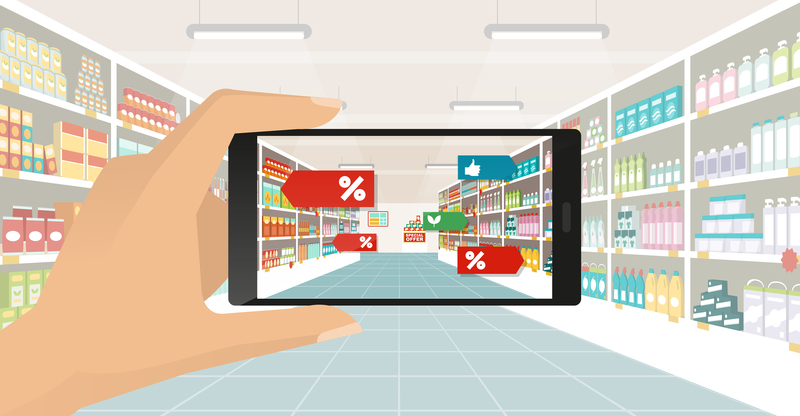 With such a wealth of technology out there at a retailer’s disposal that they know they should be using, what should shop owners be looking at – both for the shopper’s benefit and their benefit as a business owner? Pay attention to the technology that shoppers are using and apply it to the shopping experience. Mobility comes to mind here – don’t fix it if it ain’t broke, right? Use that already existing infrastructure to more easily and naturally connect with your customers. Finally, women (both as industry experts and as influential shoppers) were highlighted as a focal point for the show. Shoptalk 2018 boasted that one third of their speakers were leading women in the retail industry and a study revealed at the show indicated the weight female shoppers carry when it comes to online shopping. The future of retail continues to show a lot of promise, at least as long as you have some sort of digital aspect in place and really analyze the desires and demands of your customer. Learn more about optimizing the shopping experience in Pitney Bowes’ whitepaper Employing a Single Customer View. To stay updated on the latest trends and best practices in retail technology, follow us on Twitter and subscribe to our newsletter.